2LG is an Interior Design Studio, based in South East London. Their design work is known for its simplicity, elegance, functionality and their signature use of colour. They believe that each element of your space should have a voice of its own and speak about you in some way. We’re sitting in their home, a victorian detached house, which is an ongoing project of theirs. They have created wallpaper with Graham & Brown, fabrics and wallpaper for Custhom, lighting with Cameron Design House, rugs with Floor Story, a furniture collection for Love Your Home, and a kitchen with John Lewis of Hungerford. Like many others, I first discovered them on BBC2’s Great Interior Design Challenge, and they have been firm fixtures at all design events ever since. They are award-winning bloggers and regularly write for the Metro newspaper. And both became vegan in 2016. David Irwin is an industrial designer driven by a curiosity for how and why things are made. He says "Design ideas grow from a desire to assign purpose to both traditional and contemporary manufacturing processes". 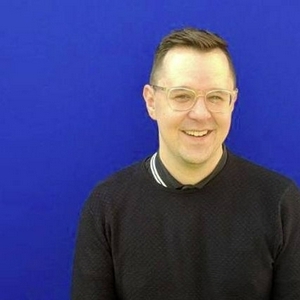 He has won numerous awards, designed for many companies and even teaches at Northumbria University. I spoke to David about how to protect your designs from being copied. Steven Korner is co-founder of recycling company Method. They launched their design-led business in 2015 to help reduce landfill waste coming from offices. I spent some time talking about how design can have an impact on this. Katie Treggiden is a craft and design writer with almost 20 years' experience in the creative industries. We chat about how we met, her career to date and how all of her experience has shaped the way she writes about design today. Welcome to Design Confab. 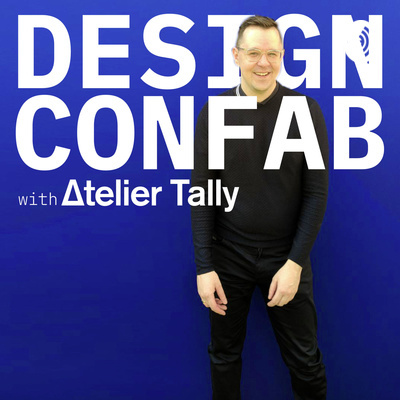 I’m Daniel Nelson writer for Atelier Tally, and each episode I sit down with a lovely person that I have met in the design industry. As a critically-acclaimed design blogger and communications agency director I meet interesting people from the design industry everyday and have good ol’ chats about what turns us on and off about the world of design. Covering topics on furniture design, architecture, craft, clothing and digital design, each episode will make you the fly on the wall of my chats with the experts. I will be sitting down for a coffee with manufacturers, writers, designers, curators and business owners where they spill the beans on what they are seeing in the world of design. You’ll hear about ideas that inspire my guests and the challenges they face and overcome with their work, as well as some anecdotes from our past chats. So sit back, grab a cup of your favourite hot beverage and enjoy the episodes from me, Daniel Nelson at Design Confab.